All rehearsals are Sundays at ASI in classroom A from 1:00 - 2:30. If you would like to be the first to know about upcoming workshops, sign up here for our email list. Join us at one (or all) of the four fiddle and stringed instruments workshops being taught and hosted at the American Swedish Institute in Minneapolis, Minnesota. There will be a workshop taught on each of the four weekends in October 2018. 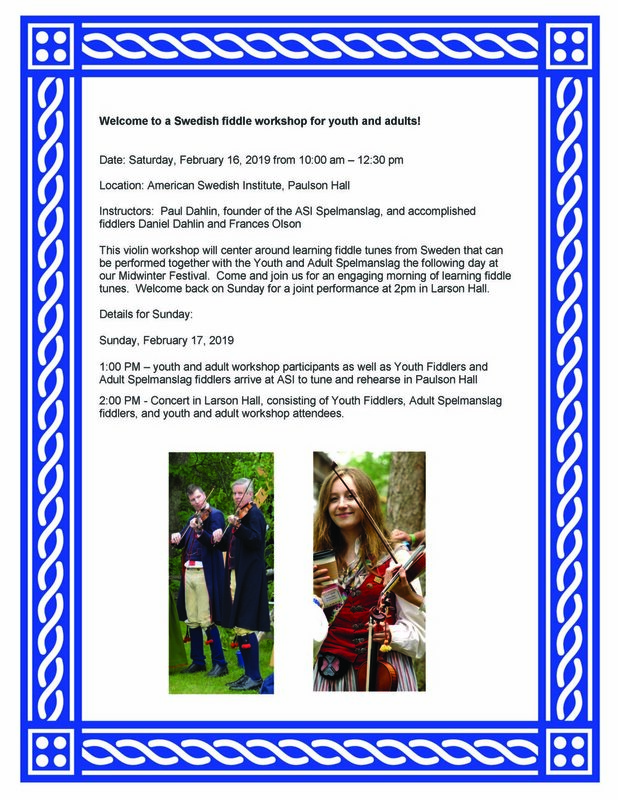 Swedish Folk Music workshops hosted at the American Swedish Institute on August 4 and 5, 2018.